Next in this series, we will discuss the failure of the startup to recognize thrid-party rights. When we think about third-party rights in the IP, we are thinking about competitors who may have a patent for a technology within a product. Every startup should be cognizant that its company commercialization may be blocked by this type of third-party right. Accordingly, startups, at an early stage, should consider a “freedom to operate” (FTO) search or clearance to assess litigation risks. A FTO is performed to make sure that commercial products, marketing and use of the product, process or service do not infringe the IP rights of third-parties. An FTO analysis begins by searching issued patents or pending applications and obtaining a legal opinion from a licensed patent attorney knowledgeable in that field as to whether the product, process, or service may be considered to infringe one or more patents owned by others. Patents that limit the startup’s FTO can be addressed by buying or licensing the underlying technology or patent, by cross-licensing the technology or patent, or by creatively “inventing around” the patented invention by altering the startup product or process, thus avoiding infringement. An example of how to “invent around” would be in software development, where a startup chooses to incorporate open source software into its code. However, open source licenses also need to be carefully reviewed to ensure compliance with license terms. In some instances, the use of open source code in a startup product may transform the startup’s proprietary code into open source software resulting in public disclosure of the proprietary code. It is always best to consult a licensed patent attorney. A startup will sometimes use third-party photographs, images, or text in marketing or product support materials. In such cases, the startup should investigate if permission is required to use the material, identify the rights needed, and contact the owner for permission or a license. Startups should make sure the copyright permission or license agreement is in writing. Comprehensive trademark searches should be conducted early in the business planning process to make sure that the desired business, product, or service name does not conflict with a registered trademark. A startup that fails to conduct a proper trademark search risks receiving a cease and desist letter or even being sued. This may necessity a need to rebrand after launch and incur the tangible and intangible costs associated with rebranding. Businesses need broad awareness when hiring new employees, especially those that may have knowledge of competitor’s trade secrets. This is another way to infringe on a third-party’s IP rights. New employee agreements should include clauses that prohibit employees from transferring or using proprietary information or materials from previous employers. The startup should also verify that the new hire is not subject to any binding non-compete agreements from former employers. In dealing with third-party rights, startups are well-advised to consider their options at an early stage. In some cases, minor product or service changes, payment of a small licensing fee to the patent or copyright owner, and/or changing potentially problematic trademarks early on and implementing careful employee hiring practices may be sufficient to avoid future disputes and can improve a startup’s chances of attracting business partners and investors to support its business development plans. In our next blog we will discuss the pitfalls of using poorly drafted agreements to cover IP, and the danger of not using a written agreement at all. On their path to success startup companies often face significant risk and liability with respect to Intellectual Property (IP). The failure to adequately address IP issues can potentially lead to the permanent loss of these rights and could possibly create a litigation risk. Insufficient or nonexistent IP protection can also hamper business transactions, including seed funding and status as a desirable acquisition target. In a series of blogs, we will look at some of the common IP pitfalls startups face and possible steps that startups can take to avoid those pitfalls and protect their valuable IP assets while at the same time reducing the risk of litigation. Let’s start out by defining what an IP asset is. The term “intellectual property” can be thought of as creations of the mind that are given legal rights commonly associated with real or personal property. These rights can and do have real economic value. These property rights are generally a result of either federal and/or state laws and include the commonly understood rights belonging to patents, trademarks, copyrights and trade secrets. All businesses have some form of IP that provides a competitive advantage and helps generate profits. Many companies mistakenly believe that patent protection is the only form of IP protection and ignore the value of non-patent IP. However, startups should identify both patent and non-patent related IP assets when evaluating their IP portfolio. Startups, no matter whether small or large, should develop an IP plan. This IP plan should identify both existing and future IP assets. In the next of this series, we will talk more about the IP plan; what it should include and how to put it together. Stay tuned! Posted on August 24, 2018 by ipconcerns Tagged copyrightdesign patentintellectual propertytrade dressutility patent	CommentsNo Comments on Design Patent, Copyright, or Trade Dress? 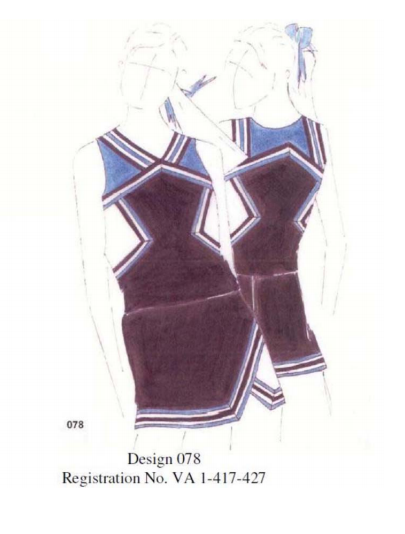 Design Patent, Copyright, or Trade Dress? I recently met with a client who wondered if they should register their product for a copyright, a patent; either design or utility, or for trade dress protection. Sometimes it is hard to decide between the various types of intellectual property protection and sometimes you can use several for the same product. Because borders between the types of protection are not always clear, it may be that some subject matter is eligible for protection in more than one category. It may also be that qualifying for protection in one category excludes the subject matter from protection in another. Design patents protect the ornamental features of a manufactured article (while utility patents protect the utilitarian features). The drawings of a design patent show the parameters of design patent protection. Design patents remain in force for 14 years from the date the patent was granted if the application was filed before May 13, 2015 and for 15 years from the date the patent was granted if the application was filed on or after May 13, 2015. Trade dress is a type of trademark that protects packaging or product configuration. Like other trademarks, trade dress marks serve as indicators of source. To qualify for trade dress protection, packaging or product configuration must be non-functional (that is, the features protected as trade dress must not be necessary for competitors to have to compete against the claimant) and must be either inherently distinctive or have acquired distinctiveness. Product configuration marks are considered inherently not distinctive and must acquire distinctiveness in order to qualify for trademark protection. Trade dress marks (like other marks) may be protected for an indefinite length of time. A product design or feature is functional if it is essential to the use or purpose of the article or if it affects the cost or quality of the article. There are several factors one may consider to determine if a feature is functional. One factor is whether the features that are the subject of an application seeking to register trade dress were also the subject of claims in a utility patent. If so, the utility patent is strong evidence that the features are functional and therefore ineligible for trade dress protection. But if a feature is protected by a design patent, that fact weighs against a finding of functionality (since design patents protect ornamental features) and may mean the design could be eligible for trade dress protection (even though it is still possible for other evidence to establish functionality). If the features are conclusively determined not to be functional, trade dress protection and design patent protection may exist for the same subject matter, either concurrently or consecutively, so long as the features are determined to be distinctive. Deciding when, whether, and how to pursue design patent protection and/or trade dress protection may depend on a number of factors, including whether the design has been available in the marketplace before one files a patent application, and if so, for how long, and whether the features are inherently distinctive or need to acquire distinctiveness before they can serve as an indicator of source. Having a design patent may aid in the development of trade dress rights by giving the features in question the time to acquire distinctiveness while the design patent remains in effect and prevents others from using the design. It is possible to facilitate the acquisition of distinctiveness through the use of “look for” advertising that instructs consumers of the product to identify the features as an indication of the source of the goods and services. Then, when applying for registration of the trade dress mark, the applicant can present evidence of the advertising in support of its claim of acquired distinctiveness. If the advertising is effective, this should also allow the applicant to produce evidence that consumers recognize the features as an indicator of source. Thus, the applicant may secure trade dress protection prior to or after the design patent’s expiration. Of course, not all packaging or product configurations that are worth protecting by design patents will merit trade dress protection. While obtaining a patent is typically more expensive than obtaining a trademark registration, design patents tend to be significantly less expensive to obtain than utility patents, and trade dress applications are often more expensive to prosecute than traditional trademark applications. Consulting with an experienced intellectual property attorney will help decide the appropriate strategy for each case. It will be interesting to see how this turns out. Two previous similar lawsuits that Rasta has filed have settled, so we don’t know what decision those lawsuits might have brought and how they might have impacted the Banana costume case and copyright law. Imagine. You are walking through your local mall, and something catches your eye. There, perched pristinely in the front window, in all its Italian leather glory, is the perfect Louis Vuitton bag. You can already picture it on your arm, along with all the compliments you will get. That’s until you check the price tag. Yikes! Instead you opt for the less expensive, near-identical, knock-off, which has “made in China” stitched so far down into the depths of the purse, that not even a trained “luxury purse connoisseur” would notice. As you walk away, satisfied with the thought of your future purchase, you may not know of the intense legal battles, trademark, and copyright implications that come with “knock-off” brands. Designers and artisans use copyrights and trademarks to help them protect their creations or brands. While these protections create substantial barriers for possible infringers, the law is not so black-and-white. What exactly does Trademark protect? Trademarks offer the best and broadest protections for designers. The words “American Eagle Outfitters,” on top of a storefront is protected, as well as the inverted C’s on a Chanel handbag. The veil of the Trademark Act protects even the unique stitching on a pair of True Religion jeans. In Christian Louboutin v. Yves Saint Laurent, the court ruled that Louboutin owned trademark rights of its red outsoles, because it had acquired a secondary meaning. However, the court held that “despite finding secondary meaning, the appeals court pointed to Louboutin’s failure to show that the secondary meaning of its Red Sole Mark extended to uses in which the sole did not contrast with the upper part of a shoe (i.e., on monochromatic red shoes).” Therefore, Louboutin could trademark its distinctive color, and Yves Saint Laurent could continue to use red soles on monochromatic red shoes. Say you have made a blouse, with a unique design related to your company’s brand. Copyright protects that. What about a necklace with a novel pendant you have created? Copyright also protects that. Copyright protects all original patterns, designs, color arrangements, and unique elements used on clothing, jewelry, and accessories. However, copyright does not extend to the actual clothing itself. So, that blouse we mentioned earlier is not protected, but the design on it is. Over the past few years, designers have lobbied for greater copyright protections. Many European countries are afforded broad protections, but the United States has not caught up yet. There are several bills proposed by Congress, which would extend to the clothing itself. For more information, check out the Innovative Design Protection and Piracy Prevention Act. What about that Knock-Off bag? We talked about the tools that designers use to help protect their creations. So, how are companies still able to produce knock-off brands that so closely relate to the original? The Supreme Court in 2000, ruled that products or other merchandise that simply copy the distinctive look of a famous brand do not violate United States protection laws. In order to succeed in a trademark claim, a designer must show that customers may be fooled into thinking that they themselves are buying the brand-name item. There was huge outcry amongst designers about this case.